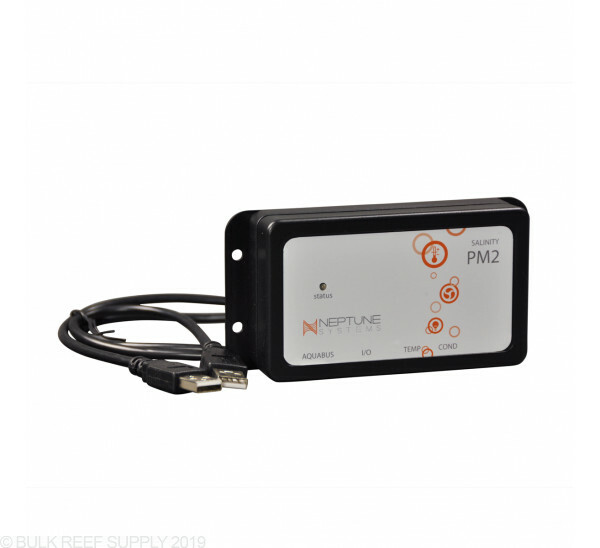 Having the ability to monitor the salinity of your reef tank is a very valuable piece of information. 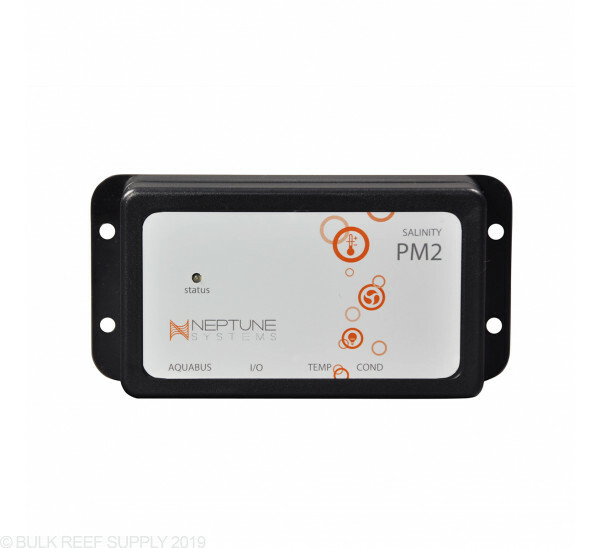 Usually, if something is to go wrong with your tank, you will usually see a change in salinity from temp, to a top off unit being stuck on, if you have a Neptune Apex Controller we highly recommend investing in the PM2 module and salinity probe. 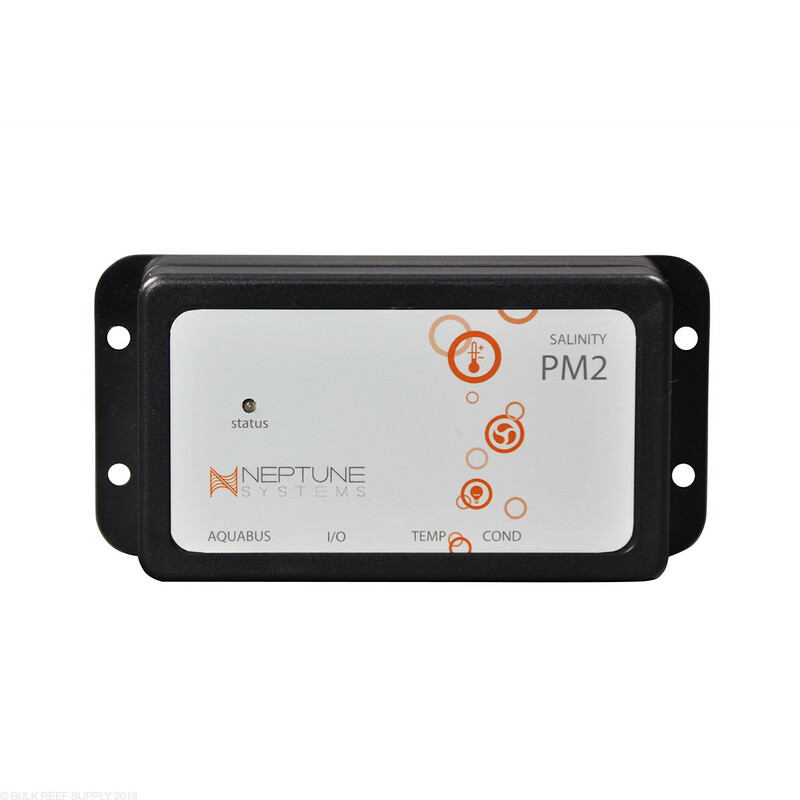 Add the Salinity Module: PM2 to your Apex Neptune System. This thing does not work. When it is set for no temp probe it reads 37 when my water by two other testing methods is only 34-35 ppt. When I bought the second temp probe (you need two to get this to work), it reads a full 10 points lower than actual salinity - 24 ppt. I've recalibrated with two calibration solutions - they aren't free either, I have followed Neptunes troubleshooting, including isolating the probe in a separate container of saltwater. I have swapped the temp probe with my main tank probe. I have isolated the probe wire from all other wires and nothing has changed. This probe is pretty much awesome when it works, BUT some many other devices in my setup will interfere with the readings that if I ever move my wiring it usually throws my readings off and I have to calibrate or move the probe wiring somewhere else. I can't really say that I trust this probe enough to ever actually believe the reading. I just wish they could somehow shield the cable from interference. I am not sure the two bad reviews about the PM2 module but it's my favorite. I have a second PH, and a salinity probe. In order for it to work the proper way, you have to calibrate it and clean the probes with two part every 3 months. If you don't well then it might leave a review like the two above. My Salinity monitor probe is dead on to what my refractometer reads. I am getting ready to buy a 2nd PM2 mod for my saltwater mixing station. While expensive for the module and probe it is nice to have a read out of the saltwater status. Can setup an alert if the reading goes outside your defined range. Probe stopped working after about a year. A waste of money. Is never accurate according to my refractometer. Don't waste your money. The conductivity reading from this module is dead accurate, and has a very fast refresh interval. This is a must have for the "control freak" the conductivity data graphs alone will shock the non ATO system keepers. Which now happens to be next on my list. This is the probe module for measuring salinity but make sure to also pick up the actual salinity probe as well! If I buy this and the salinity probe is that all I need for it to tell me the salinity or do I also have to buy something else for it to work. How does an ATO float switch attach to this module? I do not see in the photo the inputs to attach the float switches. I am wanting to use it for both an ATO and salinity monitor. There is not an option to plug in float switches directly to the PM2. If you are looking for float switches you will need the Apex Breakout Box. 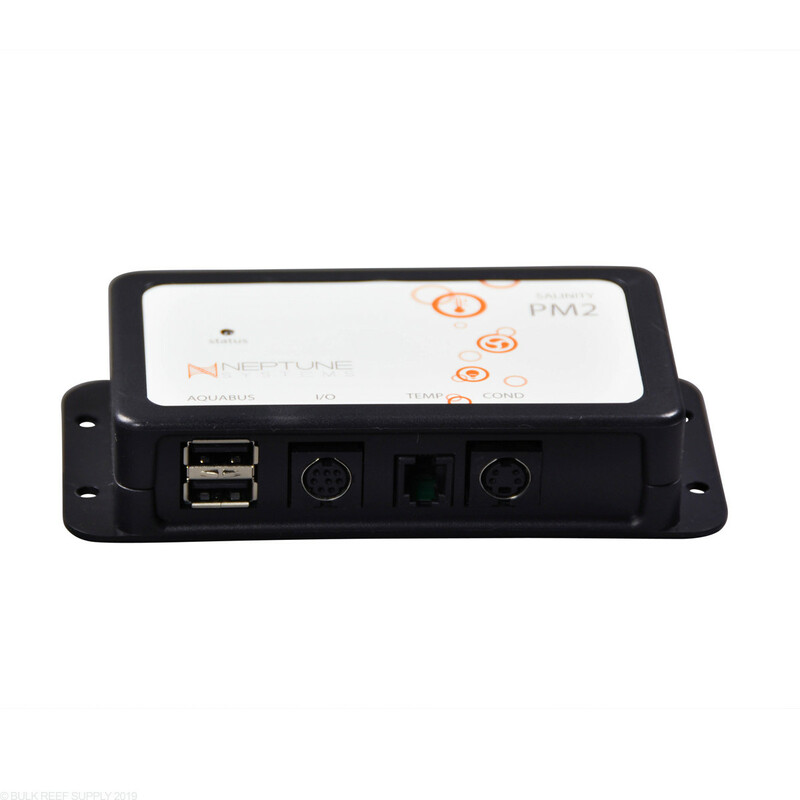 The breakout box can plug into the I/O port on the PM2 or the apex main module. Feel free to let us know if you have any further questions! What is the warranty on this module? The modules for Apex will carry a 1 year warranty. 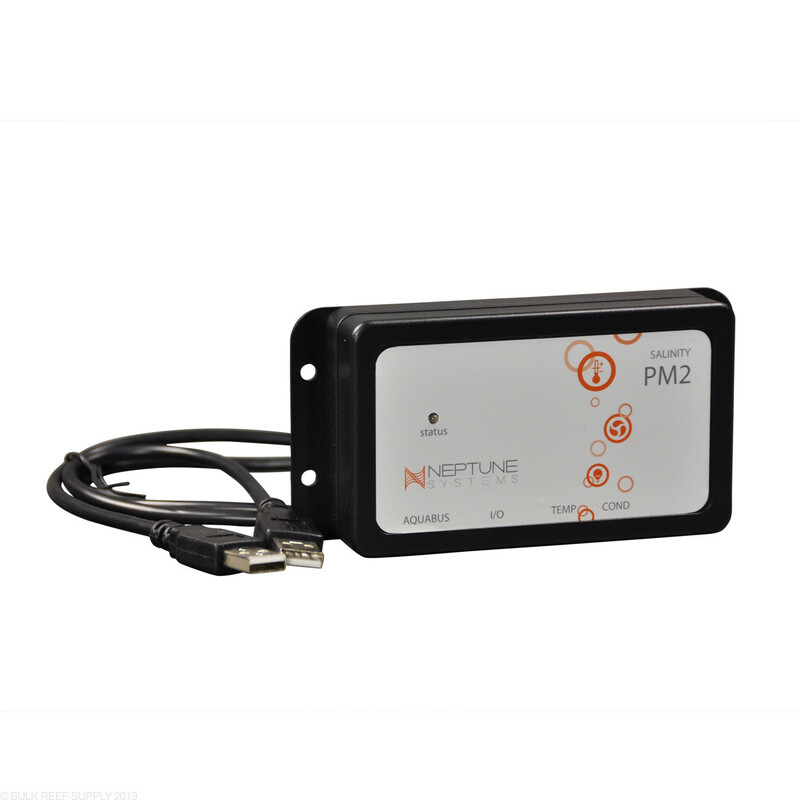 I have included the warranty information on the Neptune site below. Feel free to let us know if you have any further questions! Hi can i hook up two salinity probes or i have to buy 2 modules? If you wanted to monitor two salinity probes you would need a module for each probe (so 2 in this situation). I have the apex package that i bought without this module. doesnt the normall apex already measures the salinity. what is the advantage of this probe. does this show specific gravity ? 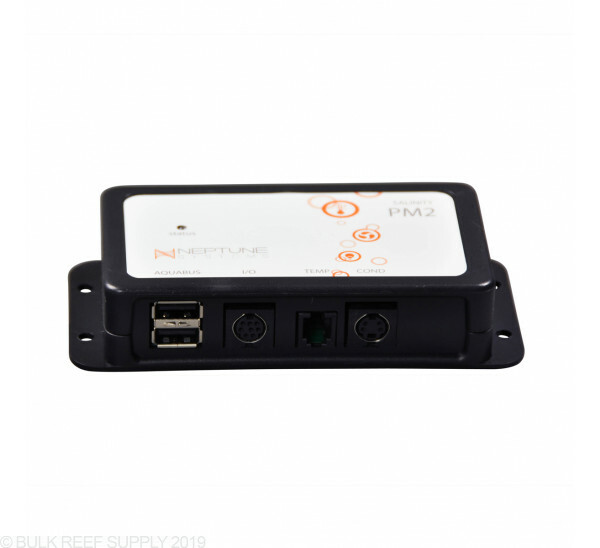 The Apex Controller System does include a salinity probe, which measures conductivity, and can be directly converted to salinity. It does not show the specific gravity since all the readings will be in a ppt count. This is the same probe that is included with Apex Controllers that come with a salinity probe. Does it come with the slainity probe? The salinity probe itself is sold separately.